Are you still thinking about burglars as black-masked, striped shirt wearing vigilantes who stuff their sacks with money and escape under the cover of night? You need to think again, because while those guys might fit the robber profile of the movies, your home is vulnerable to a very different kind of burglar. Myths about burglars can keep you from making the right choices about home security, and securing your home. If you want to keep your home safe you need to know who to keep it safe from. Read on as we debunk some common myths about burglars and give you solutions for keeping your home safe! Myth #1: Burglars only strike in the dead of night. 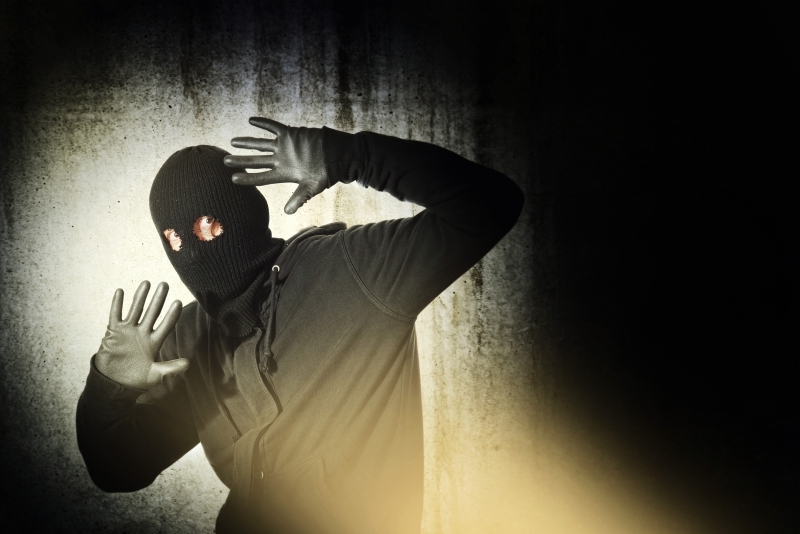 The typical image of an intruder creeping around your house in the cover of darkness is actually a myth! While your home could certainly be broken into at night, most burglaries occur between 10am and 3pm, since this is usually when kids are at school and adults are at work. While this may make you feel better when snuggled into bed at night, the reality is that if you don’t have a home alarm system, your home is very vulnerable to break-ins during the daytime hours. No one is there to know there is a problem, hear a troubling noise, or make a quick 911 call. 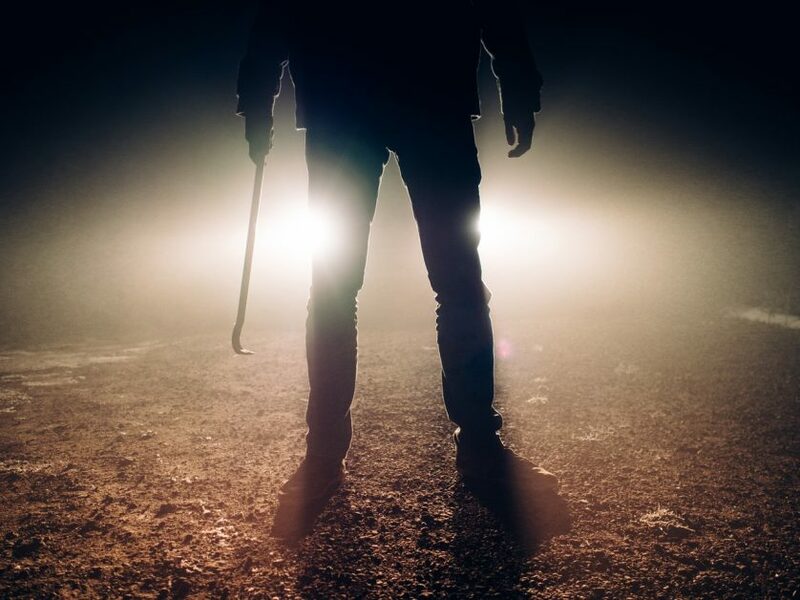 While the nighttime seems like the perfect setting for a robbery, the truth is that your home is more vulnerable during the day. Myth #2: Burglars wear masks. The image we mentioned above, of the masked intruder wearing black is not usually the case. In fact, if you saw someone walking down the street all in black and wearing a ski mask you would probably be suspicious! Burglars don’t want to stand out, and will usually be dressed in plain clothing and look like your everyday joe. In fact, a burglar might use clothing to make them appear to be a workman or delivery person to get closer to your home unnoticed. You should be wary of door-to-door salespeople, or anyone knocking at your door uninvited. Some burglars will impersonate a salesperson to case your home, and inviting them inside will only give them more reason to return. You probably wouldn’t be able to pick out a potential burglar from a crowd, which is why you need to take proactive steps to ensure your home’s safety. Myth #3: Burglars use high-tech gadgets to gain access to your home. Glass cutters, grappling hooks, and even the ability to access your home security system and disable it are stuff of Hollywood, but not so much in real life. The typical burglar has a high school diploma or less education, and very few have advanced degrees. They are looking to quickly grab what they can from your home, not spending weeks planning an intricately planned intrusion. They are using simple tools, such as a screwdriver, to get into your home, and will even use tools that you leave lying in the yard to access your home! A robbery might not be very well planned out, but if you leave ladders, shovels, or anything that could be used as a pry bar easily accessible this gives a potential thief a way to access your home. You don’t have to fear high-tech hackers getting seamlessly into your home, but people just looking to make a quick score. Myth #4: Burglars usually use windows to enter your home. The iconic scene of a burglar stealthily easing open a window and climbing into your home is not actually the most common form of entry. The most likely source of entry is your front door! 60 percent of burglaries occur through a door, and most of these involve the front door. Unfortunately, many of these burglars don’t even need to “break” in—the homeowners have accidentally left the door unlocked. Especially if you have young children, make sure you are always double checking your locks before you leave the house! Another door that is vulnerable is your sliding glass door. These doors usually have flimsy locks and can be easily forced open, so using a metal or wooden rod to secure them is recommended. While windows are not the most likely entry point, they still are used frequently, so having both door and window sensors can alert you to any potential intruders. Myth #5: Burglars are strangers. When we think of someone burglarizing our home we think of a stranger who is removed from us. Some people think of teenagers as the most likely burglars, but in fact it is adult men who are the most likely to be burglars. A typical burglar lives within 2 miles of their victims, so they probably aren’t as unknown to you as you might have thought! This is another reason to be careful with who you let inside your home, like salespeople and neighborhood fundraisers, because you never know who is looking to gain more information on how to burglarize your home. Myth #6: Burglars have weapons. If you are thinking of a gun-wielding burglar as the most likely intruder, that’s not the case. Most burglaries don’t involve weapons or violence, but that doesn’t make them any less intrusive. You wouldn’t want to come face to face with a burglar, and the thought of someone being in your home and going through your things can feel extremely violating. Whether or not burglaries involve weapons, you should take the right steps to make sure your home is protected. Myth #7: Burglars are looking for electronics. Do you think of your big-screen TV or your video game console as the most enticing items for potential burglars? Those items are big, heavy, and hard to conceal. A thief will most likely look first for cash that is lying around or a wallet or purse. Next they will go for jewelry, so make sure you aren’t leaving cash or your pearls lying out in plain sight of windows or doors. Myth #8: Burglars won’t return. While you might hope that once you have a burglary you will never have to deal with it again, unfortunately that’s not the case. If your home has been burglarized and the perpetrator hasn’t been caught, there is a chance they will return to your home. They already know the layout, your home’s weaknesses, and they might have noticed other valuables that they want to return for. If your home is not protected, don’t think that thieves won’t return! Myth #9: Home security systems won’t prevent burglaries. This is the biggest myth of them all! Homes that don’t have home security systems are at the biggest risk for home invasion, and many people that do have systems don’t use them properly. Make sure you are arming your system, and putting out signs that announce that your home is armed and connected to a monitoring system. Just locking your doors and windows is not enough. You need an alarm system that deters and scares potential intruders and alerts you to any breach of your home. Myth #10: Preventing burglaries is expensive and complicated. Not when you choose Fifteen Alarms! We provide Memphis with the best in home security systems with no contracts, low prices, and we can even use your existing equipment! Hopefully we have dispelled some of the most common myths about home burglaries and you are ready to take steps to protect your home! A home security system is the best line of defense against potential intruders, and can give you the peace of mind that your home, valuables, and family are protected. Just one phone call can get you started, and our prompt, courteous technicians can reprogram your system in just one day! Don’t leave your home vulnerable to burglaries, contact Fifteen Alarms today for installation and to see how easy it can be to have home protection!